Martina Vacca, journalist and author of the book "Dirsi sì nelle città UNESCO (Saying I Do In UNESCO Cities)", held a lecture on wedding tourism in Italy in the context of Professor Salvatore's course "Made In Italy: The Italian Business Environment" on February 11, 2019. On November 15, 2016 the Institute for Entrepreneurship hosted a lecture by Monica Archibugi, CEO and founder of the startup Le Cicogne. The aim of the company is to match demand and supply of babysitting services and to help parents find a trusted babysitter. On March 7, the Guarini Institute for Public Affairs invited Dr. Martin Svatos to lecture on the “Resolution of Business Interests in the 21st Century,” alongside Institute adviser John Fanti. On Monday, February 15th, the Guarini Institute hosted a panel discussion focusing on the European Parliament and the European Union in times of crisis. Sponsored by the Guarini Institute, Il Messaggio dell’Icona – a Roman bookstore specializing in Eastern European cultural and religious topics - hosted Amelia M. Glaser, professor of Slavic Studies at UC San Diego, to discuss her book Jews and Ukrainians in Russia’s Literary Borderlands, published by Northwestern University Press. In collaboration with the US Mission to the UN, the Guarini Institute hosted Thomas E. Sullivan, the Vice President and Provost of the University of Minnesota, who gave an interesting lecture titled Internationalizing Universities in the United States. On Monday, June 21st 2010, the Guarini Institute had the honor of hosting Dr. Esther Brimmer, Assistant Secretary of State for International Organizations, who outlined the global challenges the world is facing and the how a coordinated effort of all countries may help tackle them. On Wednesday 16th June the Guarini Institute hosted a guest lecture featuring Prof. Spencer M. Di Scala, a pre-eminent professor of University of Massachussets, Boston, and scholar specialized in Italian history. Professor Politi drew upon his great experience in the area of international law and international organizations to deliver his lecture at John Cabot University on October 6, 2009 on the rise of international criminal law and the establishment of the International Criminal Court. 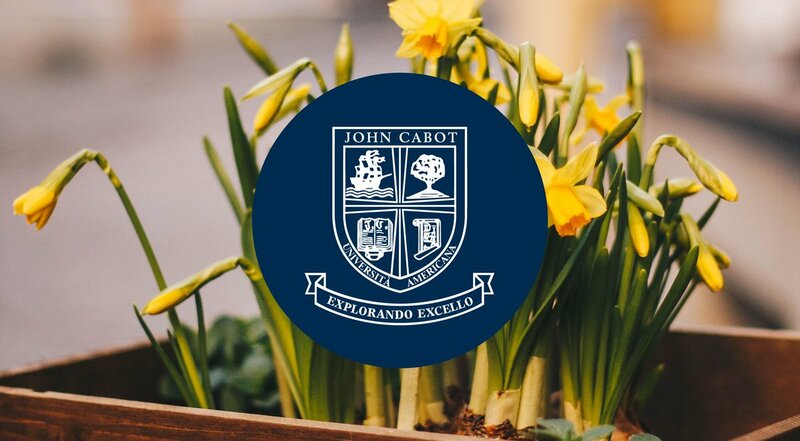 The Guarini Institute conference hosted by John Cabot University and co-sponsored by Fondazione Liberal focused on different aspects of the Ukrainian Famine of 1932-1933. The morning section opened with a welcoming speech by JCU President Franco Pavoncello, and by the Ukrainian Ambassador to Rome, Mr. Heorhii Chernyavskyi.